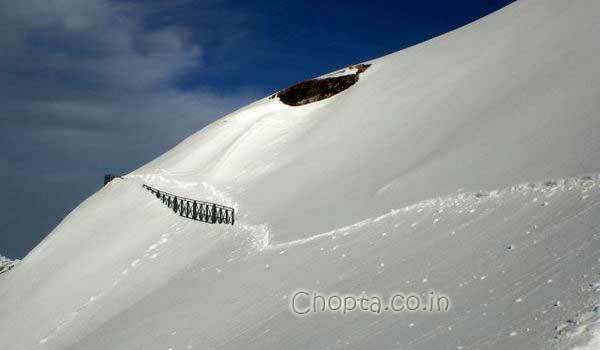 Chopta, Deoria Tal, Tungnath and Chandrashila peak trek is best done from September to June. 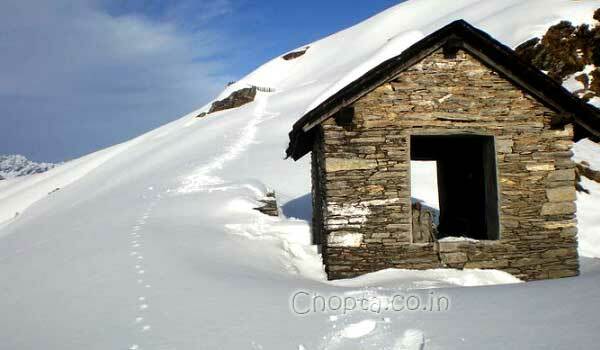 It is snow all around in winters, weather is clear and you can see snow clad peaks of higher Himalayas from the trek. 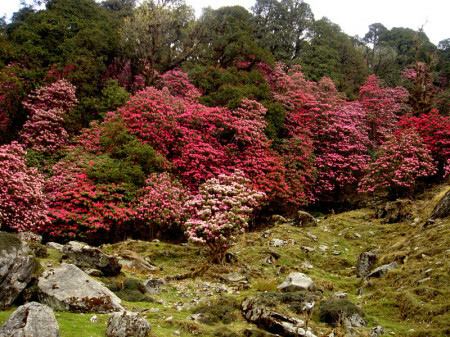 Rhododendron flowers look very beautiful in the forest. 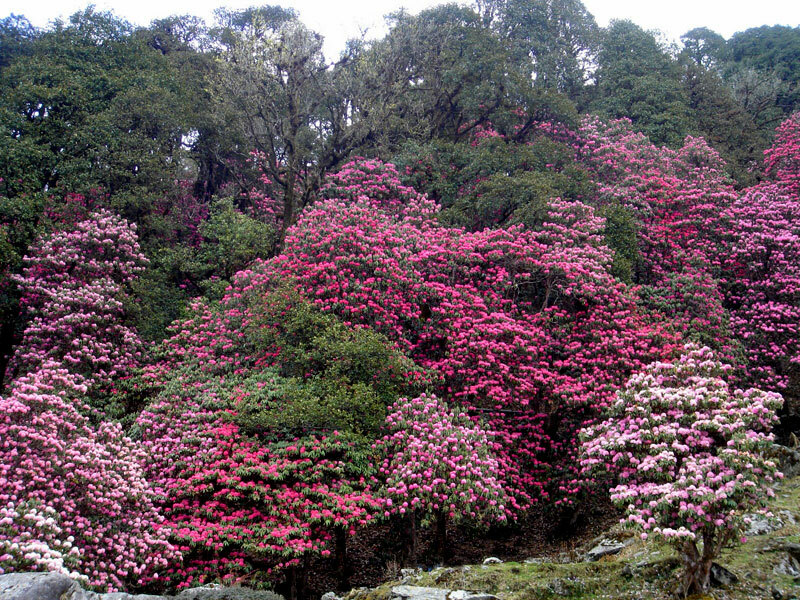 Rhododendron flowers can be seen in March-April time. 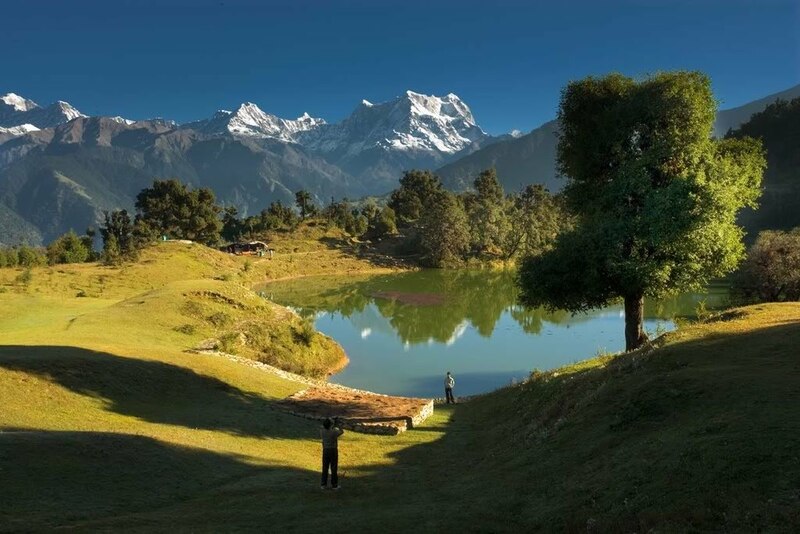 So come with us to this beautiful trek. 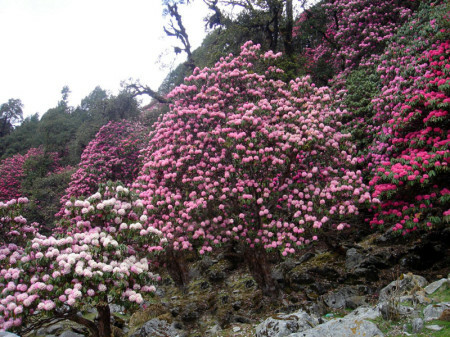 We are nature lovers and we assure you for 100% satisfaction guarantee. 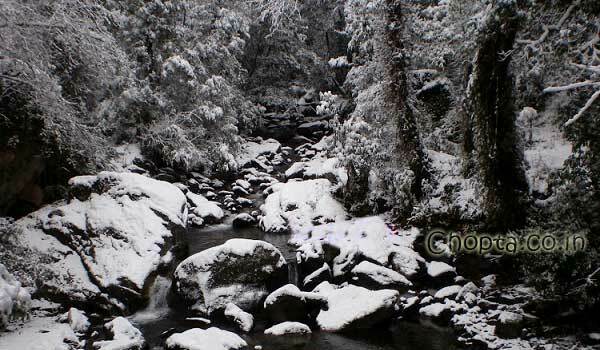 Explore the pictures on this page you can see similar landscapes till April end. So call us at +91 9050042759 any time to know more. 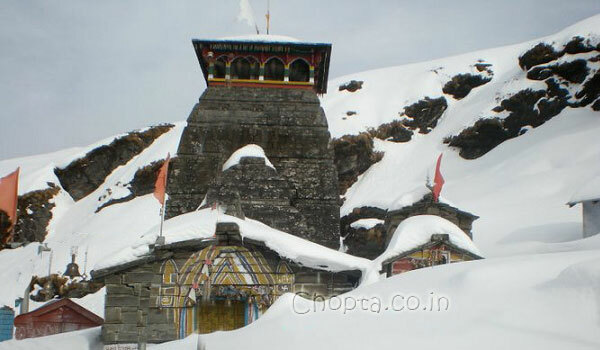 Day 4 Sari to Chopta by Road and trek to Tungnath and Chandershilla Peak, Evening back to Sari. Day 5 Sari to Haridwar. 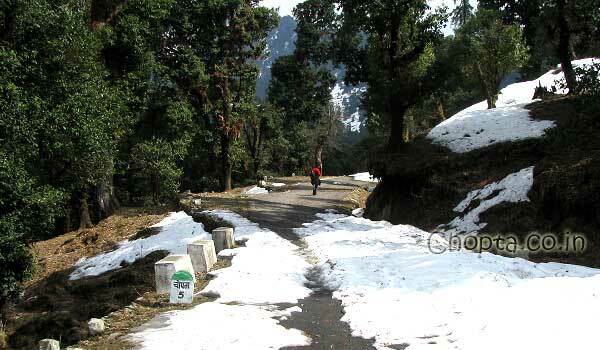 Stay at Haridwar for 1 night, Sari Village for 2 nights and Camping at Deoria Tal for one night. Forest Fees, and camping Charges. Appropriate Vehicle from Haridwar and back to Haridwar. 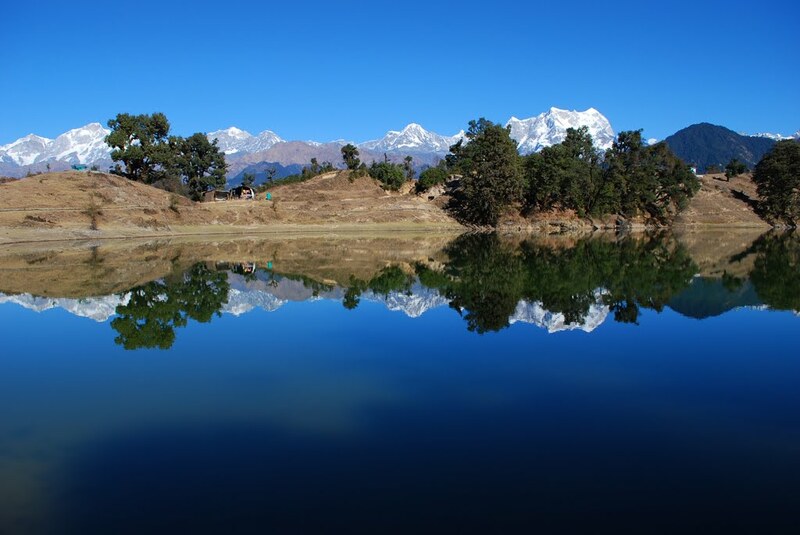 Deoria Tal is a beautiful lake and we will camp here for one night and even may extend it for another night according to your wish. 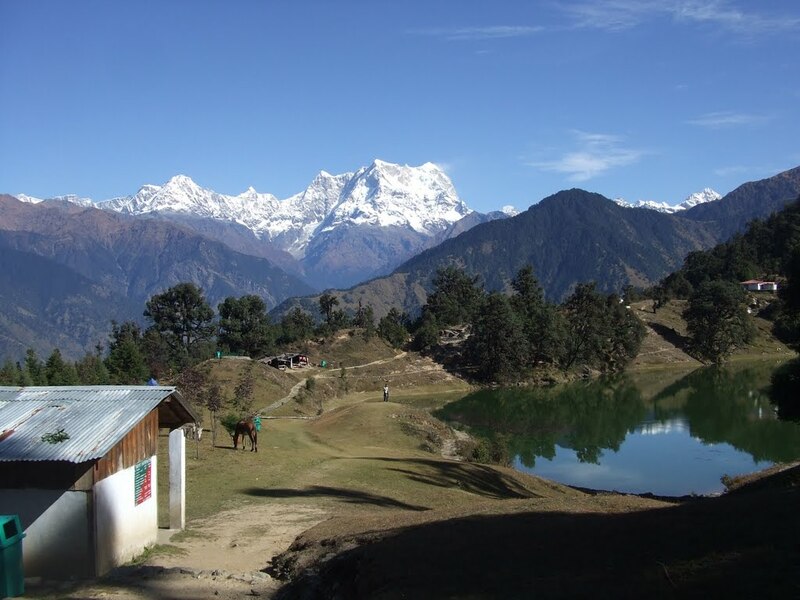 You can see 180 degree snow clad Himalayan Peaks from here. For bird watchers also there are lot of beautiful birds to be seen.